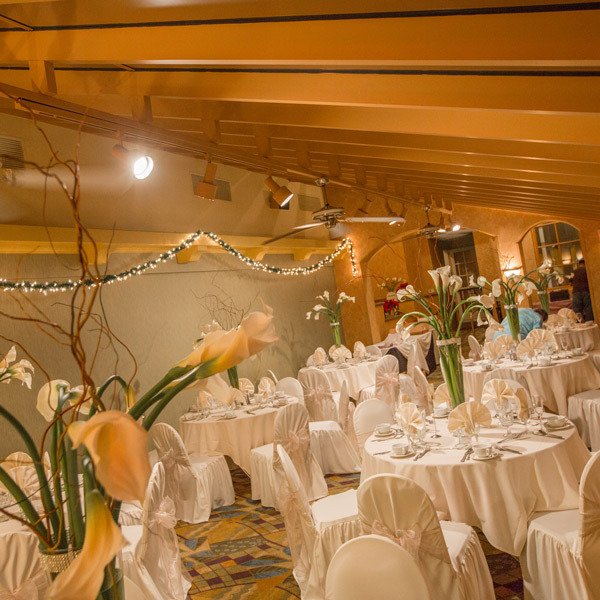 Featuring a full panoramic view facing the golf course, the Greenhouse Room is a distinct banquet room featuring seating for up to 100 guests. The unique architecture provides a great deal of natural light while the decor adds energy to any event without detracting from supplementary decorations. The positioning of the room in the facility is both centralized and very open, and is an ideal event space for a smaller gathering coupled with the beautiful ambiance.